This beautiful Bible is in a hardback and perfectly sized for pews and chairs. It comes with a sewn binding and a durable cover material, which will make it last for years. This edition is perfect for the church, youth groups, and even children's classes. Includes New and Old Testaments. 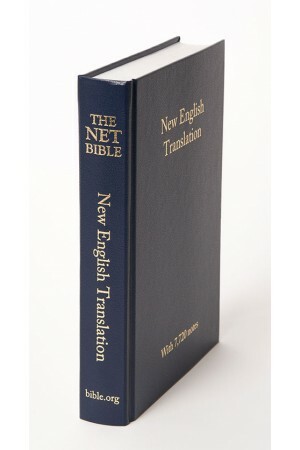 NOTE: The text is the NET Bible First Edition. 51 page concordance with over 1000 terms and 10,000 entries. When bought by the case, each Pew Bible is only a little over $3.12 each.